It has been a very busy and dynamic week in all Chinese classrooms. In Early years, Nursery children learnt about how plants grow. They also learnt songs and read stories about seed and growing. Reception children learnt about different means of transportation and they talked about how they came to school and went home every day. In Year 1 Great Wall group, children learnt to tell time in Chinese. 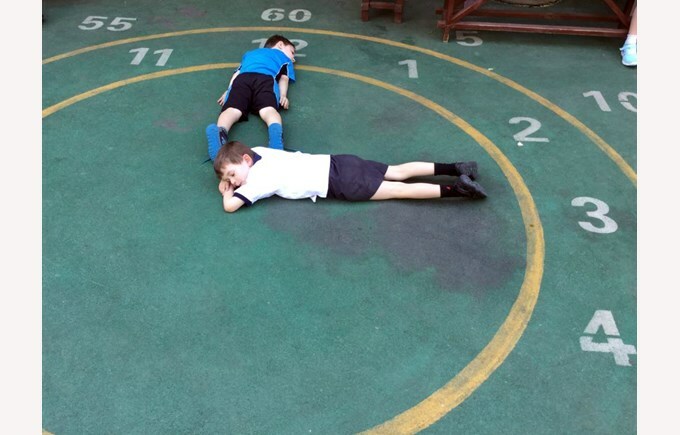 They played the game “wolf, wolf, what time is it?” at the playground to practice what they have learnt. Children in Year 3 Forbidden City group learnt a story about a hippo and a girl. They rewrote the ending of the story and acted it out. In Year 4, children in Tian’an Men group designed Chinese characters in their own style to help them better understand the Chinese characters. Children in Year 5 Forbidden City group learnt about neighbourhood. They presented the pictures they had drawn to show others what an ideal city would look like from their point of view. In Nursery, children learnt a new topic about pirate. They did so many interesting activities both indoor and outdoor to learn about pirate. 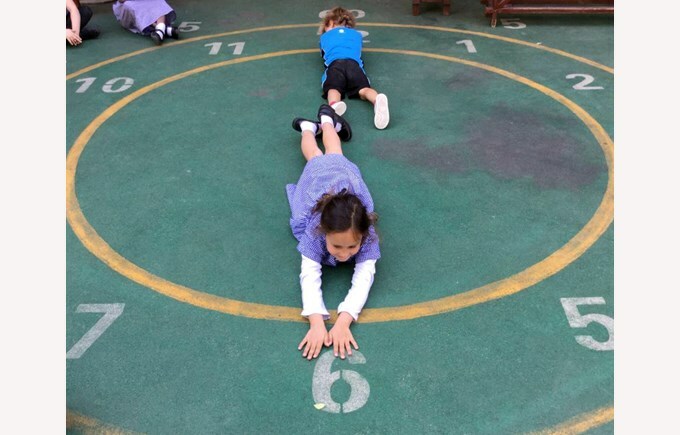 In Primary, this week Year 1 children in Great Wall Group played the game “wolf, wolf, what time is it?” at the playground to practice what they have learnt. They also used their body to make the time. 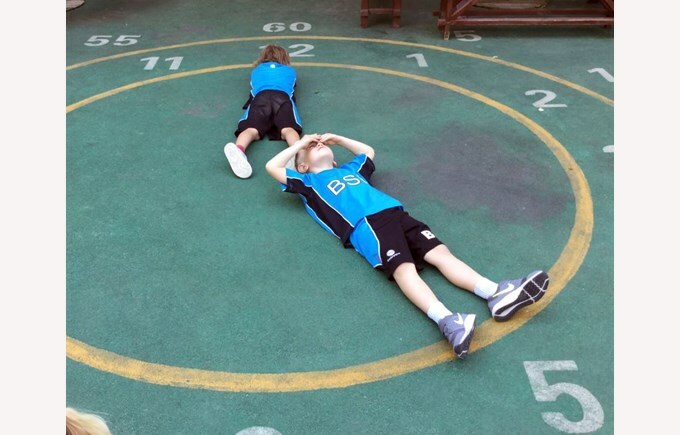 Can you guess "几(jǐ) 点(diǎn) 了(le)" (what time is it?). Children in Year 5 Tian’an men group learnt about neighbourhood. They drew pictures to show everyone what the ideal city looks like from their point of view in Chinese.